So many pamphlets, websites, lectures and discussions are made available to high school students to prepare them for college’s intense social transition that it’s easy for Dartmouth students to forget that they are at the College to receive an education. 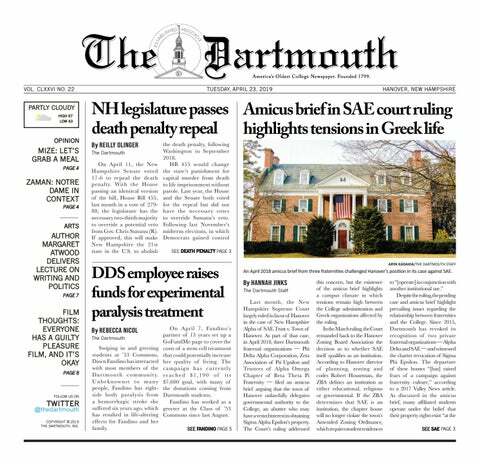 Engaging with Dartmouth’s higher level learning could certainly be a shock to first-year students who are accustomed to high school learning methods and grading. Nora “Gus” Guszkowski ’22 quickly learned the difficulty of maintaining high grades at the College. Popularized perceptions of college life cast a narrow view of sexuality in which men hit on women at drunken frat parties, leading to one-night stands with no strings attached.